I run a small but personal design and marketing company in Cork, Ireland. We specialise in working with SMES who want decent to great results in design and marketing. I have worked in this space for the past 10 years with a huge variety of businesses from all over the world. 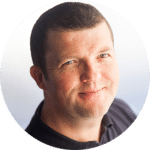 My approach is very personalised in that I like to understand what your online goals are (if none perhaps develop some top level ones) and work closely with you to strategically improve your online success through SEO and Inbound Marketing. 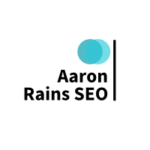 There really is no one size fits all in SEO and Inbound marketingand I understand that and with my small team I am sure that I can provide help, technical support and a wide range of services that will have an impact. The first step is a no obligation chat with me on the phone or over Skype were we get to know each other and I get to understand what you are doing online at the present to grow your business. From there we can decide if you we want to work together and begin your SEO journey.